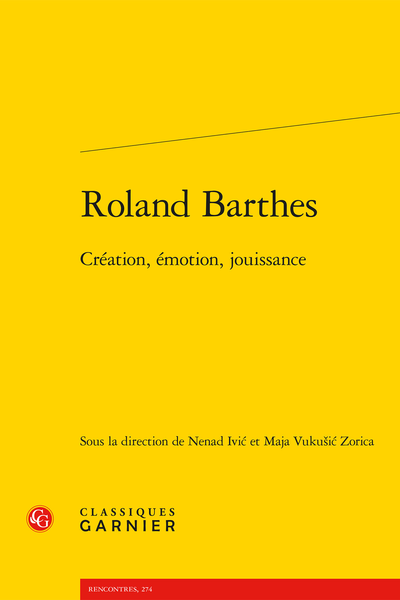 Abstract: The articles in this book examine Barthes’ notions of creation, emotion and jouissance. Through the gaps, interstices and points of contact in that conceptual trinity, this work creates a space for thinking about the subject of the “sexuality of language”. Que reste-t-il du Plaisir du texte ?